Leading Locksmiths in Dublin for over 28 year’s and first choice for lock supplies, installations, repairs and maintenance nationwide. We employ qualified, experienced locksmiths that are available to respond to emergency calls as quickly as possible and can provide our customers with clear, expert advice and guidance. 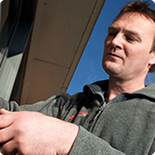 We have a team of over 20+ Locksmiths with over 50 years of combined experience is locksmithing and security, meaning that when you book us you can rely on being provided with a safe pair of hands. On top of providing secure new locks and repairing your doors, we can also make suggestions for suitable security systems for your property, and we can design, manufacture and fit master key systems. We believe we offer the most comprehensive and convenient Locksmith service in Dublin. No matter what your needs are; rekeys, changing locks, safe installation or even master key systems we have qualified locksmiths in your local area of Ireland able to help. Dealing with Domestic Homes and Commercial contractors on a daily basis we are driven by what they have to say about our services, here is just a small taste of what some of them had to say.